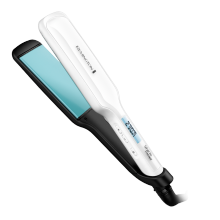 The Remington Shine Therapy Wand delivers professional, easy to achieve results. The Advanced Ceramic coated barrel not only gives you smooth results with ultimate control and smooth glide through your hair with no snags or pulls, but is also infused with luxurious Moroccan Argan Oil for soft, silky and shiny results with each styling session. 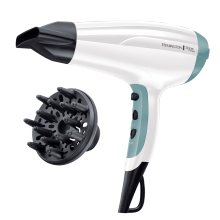 The conical Wand ensures gorgeous curls are guaranteed every time. 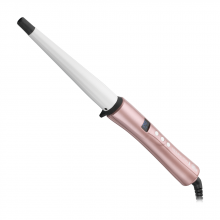 If you want to create movement with waves or curls then this is the Wand for you. 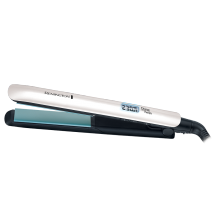 No traditional tong clip – just wrap your hair around the smooth conical barrel, holding the cool tip at the end wearing the heat protection glove included in the pack, and in seconds create bouncy curls with just a twirl.